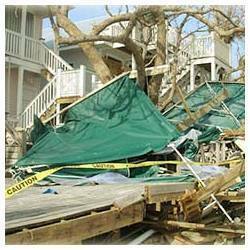 Plan for disasters before they happen, studies have shown that many businesses cannot recover from a disaster. Don't let that be you! PQUBES is the pioneer in introducing Business Continuity discipline in India. We have a team of highly trained and experienced consultants who can effectively help and guide you in developing and deploying effective business continuity management. Business continuity and Disaster Recovery planning are vital activities. They provide a framework to implement a disaster prevention programme; minimize the duration of serious disruption to business operations; facilitate effective co-ordination of recovery tasks; and reduce complexity of recovery efforts. Disaster Recovery is essential for any business. A great disaster recovery plan ensures your business recovers quickly if the worst should happen, with minimal data loss and downtime. If your delivery goes off track, our hands-on approach to Recovery enables us to rapidly assess, then implement, corrective actions to turn things around. Clients often approach us for help with projects that have gone off track, or are failing to deliver the value anticipated in the business case. Disaster Recovery is an important aspect of any business in their Business Continuity Plan. Few disasters like earthquake, flood and so on are inevitable, so it is the Disaster Recovery Plan which helps the business to quickly resume the business functions by minimizing the effects of a disaster. Phailin, Hiayan, Nilam—disasters can take many forms. Are you prepared for recovery Here are a few things businesses should know about DRP. The Company has a CTCL server located at Head office and another Back up CTCL server is also located at our Head office. If any server is down, users can be shifted to the other server. Back up of the previous day is being restored to Back Up CTCL server which is running live to reduce down time in case of hardware failure. INTELLIGO TECHNOLOGIES can setup a reliable backup system and implement an effective backup strategy that will allow for maximum flexibility and reliability in recovering from potential disasters.